I’ve heard (and you’ve likely heard) that people are more emotional with their money decisions than they are rational. The more and more people I coach and the more and more I look at my own life, I am completely convinced that we as humans are not inclined to act rational with our money. We are not robots who take in data and spit out the best/logical answer. We are creatures with brains and a host of emotions at play that sometimes help and sometimes hinder our financial lives. 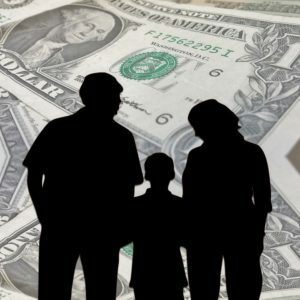 I want to start looking at some of the ways our financial decisions are shaped and I think the most logical place to start is looking at how we are raised or how our family handled money. At certain times in my life, I’ve heard “you are just like your Dad/Mom”. To some of you, just reading that made you cringe. To others it may be a compliment. Often it may just be on looks alone that people think you are like one of your parents and other times it may be because of a way that you act or a character trait. Like it or not though, we are a product of our upbringing. It may be how we believe, how we talk, our religion, what we eat, and the list goes on, but have you thought about what things you may have picked up or which things you avoid with regard to money that your parents do? I know I like to think that I do things by my own choice and my own assessment of the right or wrong thing to do. I’m an individual, have freedoms, and have the right to make my own choices, but I’m finding more and more that there are certain things I’m predisposed to do just because of how I was raised. I was raised not to waste things, which I believe very much relates to how I deal with money. If you waste food, clothing or other resources, it costs more to obtain more. I’ve shared before that I will re-use sheets of paper that are only printed on one side. I mean, there is an entire side of unused paper! Does the fact that I do that change my financial future? Not likely, but it’s a mindset. I was helping my Dad recently with some yard work and the pail he was using for branches (which originally held birdseed) had to be 5-7 years old. The pail had a crack in the bottom that I could tell had been duct taped once before as well. I asked him why he’s still using that pail when I know he has several other (used) pails to choose from in the attic. He just said it still has some life left in it. Truth be told, he easily has enough buckets to last him the rest of his life, but for some reason he may feel that he’ll run out. As I saw this bucket, I was reminded of the ways that I may use something way beyond when it should be “retired” a.k.a. thrown away. I know I have certain clothing, appliances, tools, and likely countless other things my family could remind me of that I should just get rid of and could easily buy a new one. But somehow I can’t because I still feel they are useful and have life left in them. I was also taught to prepare for things. Going through life and just letting the world or events happen to you is a recipe for overspending, stress, and overall displeasure. 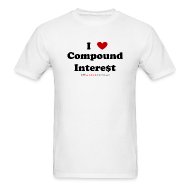 I was taught to save early and often, and of course the love for compound interest! I was shown how traveling and seeing new places opens up your mind to new perspectives, people and points of view. I was taught to research purchases and always buy a quality item; maybe not the most expensive one, but one that will last. I was taught to do things myself, which allowed us to do the bulk of the remodeling for 3 homes we remodeled and fix any number of repairs around the home. Basically if you can learn to do something, it will be done to your satisfaction and hopefully less expensive than calling someone. There are limitations of course, but I’m usually game to roll up my sleeves and give some repair a try. Did you grow up in a large family and rarely ever have new clothing? How do you buy clothes now? Did you grow up in a home/family that lacked? How does that affect how you purchase food? Do you always have enough food or are you doing the same things that caused your family to have little food when you were young? Do you want to please your parents? Does that cause you to do things that cost more money or time in order just to please them? Do you feel guilt from parents if you do something that they don’t approve of? Does that guilt cause you to spend more (or less) than you planned? You could have parents with more money than you and they try to tell you what to do. Or you could have parents that have less money than you and want you to give them some. Ask yourself some of these questions. What is really motivating what you do with your money? Self-inspection is extremely difficult and often painful because it can reveal areas of our lives that we either don’t like, want to change, or may even be ashamed/embarrassed of. So what do you do now that you start to realize these things about yourself? Will you be able to change them instantly? Do you even need to change them? Likely the most powerful thing is to know that you are wired in a certain way and you can shape your budgeting, spending and saving accordingly. These could be very ingrained things and not easily changed. You can certainly work on changing them or even learn to work around them. But, the most important thing to do is to learn how you feel and act with money so you chart the best course for you and your family’s financial future. This will permeate most every aspect of your financial life and when understood, it will help you get out (or avoid debt), save more and build wealth that grows with compound interest! Great blog, Scott! I’ve been waiting for a new one. You are right. Our upbringing greatly influences our financial habits and decisions. Having grown up in a one income household, my parents had to be pretty frugal. I learned early on the difference between a need and a want.